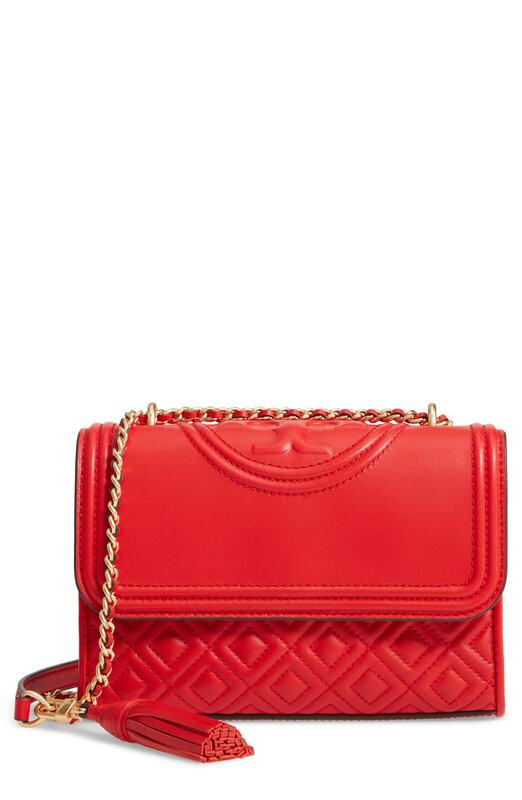 We're all seeking comfort when it comes to dressing up, and this combination of a white textured shift dress and a red quilted leather crossbody bag is an amazing example of that. Try pairing a dark brown coat with a red quilted leather crossbody bag if you're searching for an outfit idea for when you want to look casually cool. You could perhaps get a little creative in the footwear department and lift up your ensemble with red leather knee high boots. If you're a fan of relaxed dressing when it comes to fashion, you'll love this chic pairing of a red velvet shift dress and a red quilted leather crossbody bag. Kick up the cool of your look by completing it with black leather wedge ankle boots. If you're searching for a casual yet totally stylish look, consider teaming a brown fur coat with a Tory Burch small fleming leather convertible shoulder bag. Both garments are totally comfy and will look fabulous together. We're all seeking comfort when it comes to dressing up, and this combination of a red coat and a Tory Burch small fleming leather convertible shoulder bag is a great example of that. We're all seeking comfort when it comes to dressing up, and this combination of a black sweater dress and a Tory Burch small fleming leather convertible shoulder bag is a perfect example of that. Rocking a pair of red velvet over the knee boots is a simple way to add some flair to your ensemble. If you're all about practicality dressing when it comes to fashion, you'll love this totally chic pairing of a black fur jacket and a Tory Burch small fleming leather convertible shoulder bag. Wearing a pair of black suede pumps is an easy way to add some flair to your getup. 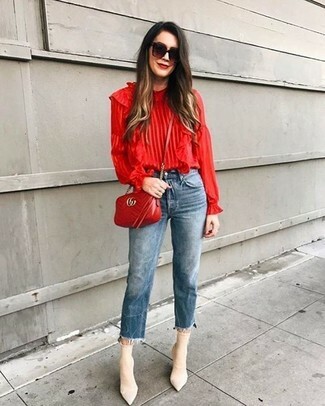 If you're a fan of functionality dressing when it comes to fashion, you'll love this extra adorable combo of a red ruffle long sleeve blouse and a Tory Burch small fleming leather convertible shoulder bag from Nordstrom. A pair of beige elastic ankle boots adds more polish to your overall look. We all want comfort when it comes to dressing up, and this combination of a tobacco coat and a Tory Burch small fleming leather convertible shoulder bag is a practical illustration of that. You could perhaps get a little creative in the shoe department and spruce up your outfit with burgundy velvet pumps.